Finding a government job in the ACT is relatively simple. Because most government departments base their head offices in Canberra the number of government jobs proportionally to private sector jobs and the general population, is the highest in Australia. If you are serious about only wanting a public service career, the ACT is the place to live! When it comes to looking for a government job, you have two options. You can look for a job in the ACT's public service (similar to a state government public service), or you can look for a job with the Commonwealth government. There isn't really a local government in the ACT like there is in other states and these services are generally managed by the ACT government. In terms of opportunity, there are more Commonwealth government jobs available, but less people apply for the Territory's positions. The best advice? Look for jobs in both levels of government and apply for both. All levels of government are required to advertise all permanent opportunities. This is done through their own websites, with some positions, usually the harder to fill ones, also advertised in traditional media (newspapers, websites). If you are only looking in the papers and on career websites like Seek or Indeed, you are probably missing the best jobs! Below are the links straight to the government websites (which used to be called Gazettes). If you want more information about employment conditions and terms of service, the primary piece of legislation government employment in the ACT is the Public Sector Management Act 1994. All ACT legislation can be found at www.legislation.act.gov.au. 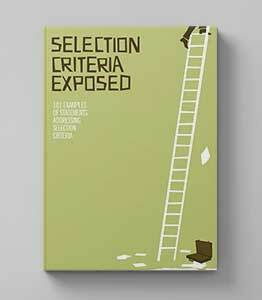 Are you following any of these selection criteria myths? 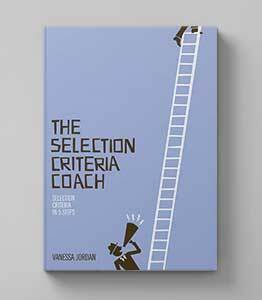 200 selection criteria examples to help you craft your own selection criteria responses. Use these examples as inspiration and see what kind of applications the job winners submit. How to write selection criteria in five easy steps. Your step-by-step guide to writing against any selection criteria. Includes templates, prompts and things you should include for winning selection criteria. Government job application tips and tricks delivered for free.